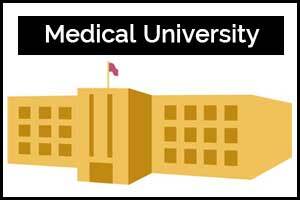 New Delhi: The Delhi Government has decided to have its own Medical university which will bring all the medical colleges operating in the capital under one roof. To facilitate this decision, a committee has been formed to frame the Delhi Health University Bill. “We are hoping to come out with the Bill soon; which will be presented in the Assembly in the next two months,” the Delhi Health Minister Satyendra Jain confirmed to the daily Indian Express. The decision has been taken to attain autonomy in the medical education sector of the capital. Currently, the government medical colleges in the capital are affiliated to either Delhi University (DU) and Guru Gobind Singh Indraprastha University (GGSIPU). As of now, all the medical colleges operating in the capital are either under DU or GGSIPU, which have a separate medical education department to make decisions related to its affiliated medical colleges. However, if this new “proposed” university gets established, all the medical colleges will be brought under one autonomous authority. The capital has AIIMS New Delhi, which is independent coming from an Act of Parliament. Besides the capital has medical colleges which are either affiliated to DU or to GGSIPU. DU is a central university, while GGSIP is a state university. At present, these universities grant administrative support, such as degrees, conducting examinations and recognising posts of professors, apart from signing off on syllabus and courses that medical colleges set. It had been stressed by the medical colleges’ authorities that they have to contact their affiliated university for every decision even when the issue can be resolved easily and doesn’t need to go to the ultimate level. A common medical varsity will also standardise medical courses. As per the initial plan, the university will offer courses for paramedical staff. Good move. Ultimately one country one medical university could be thought of!! though a distant dream stalwarts in medical education can think of this possibility. As asecond option Bharat Medical University can be the ONE point body to lay down and disseminate the CORE polcy in medical education leaving the execution to the state Medical universities.